❥ - - - Pony Town: Obsessed? Yes. I finally got all my assignments out of the way! But it means I need to study up for exams. I finally got around to buying physical copies of The Hunger Games! They're paperback. They have a bit of a Twilight feel to them (quite regrettably may I add). But they're mine. And I got them for $30! I don't think I'll ever actually open it up and read it, because I don't want to damage them. They're there to make my bookshelf a little nicer. 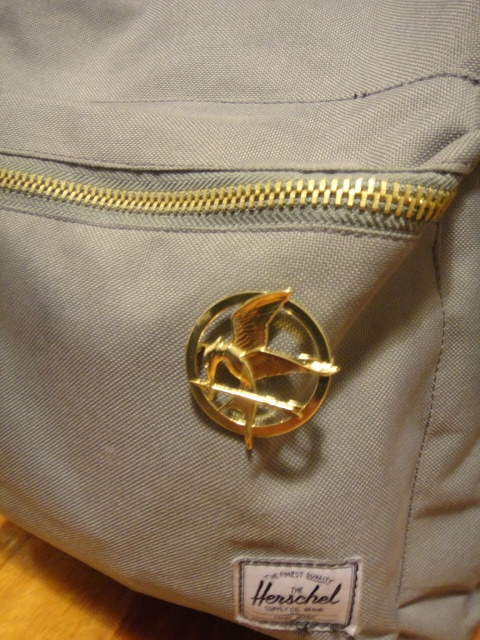 And to further fuel my obsession with The Hunger Games, my mockingjay pin arrived! I bought it from Etsy for pretty cheap and I put it on my backpack. Yeah I don't care if people judge me. It's not as if I'm wearing a "Team Jacob" t-shirt.